The LEGOLAND project pushed by the Gangwon provincial government is finally back on track after wasting seven years due to disputes. . The assembly of Gangwon Province approved on Dec. 14 a plan to build a LEGOLAND park in Chuncheon, the capital of the province, by 2021. 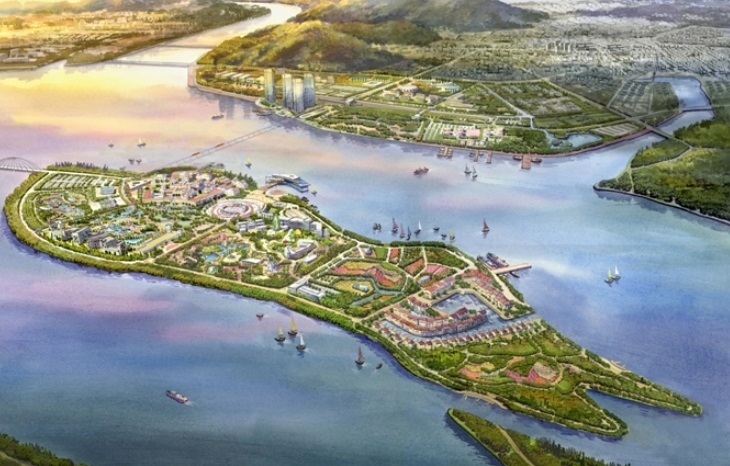 The Chuncheon LEGOLAND park will be built on a site of 1.06 million square meters on Hajungdo Island in Chuncheon. It will be equipped with a complex theme park, resort facilities and shopping facilities. The construction cost is estimated at 300 billion won (US$ 265 million). Seven years have passed since the ground was broken for the theme park, but no progress has since been made due to excavation of cultural assets, lack of funds, and changes of the development company. In May this year, the provincial government signed an agreement with Merlin Entertainments, which operates LEGOLAND parks and other amusement facilities around the world. Under the deal, Merlin Entertainments will invest 220 billion won in the project and take charge of building the theme park. The remaining 80 billion won will come from LL Development Co., a joint venture between Merlin Entertainments and the Gangwon provincial government. As the development plan was approved by the province’s assembly, the construction of the complex will begin in March next year. The park will open to the public in July 2021.